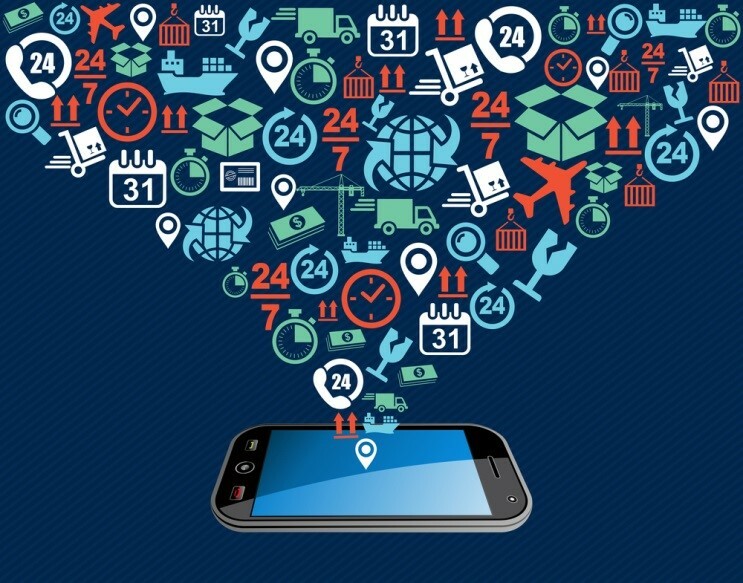 Mobile apps have made themselves indispensable to the smartphone-toting world today. Nowadays, people know exactly what they want, they are not patient enough to sit back and wait—we want it all NOW. This is where mobile apps score over the computers. With most of the information stored within the app itself, the ‘waiting’ and ‘searching’ time is reduced to a considerable extent. Apps are much faster with an enhanced level of user-friendliness, cost-effectiveness and extremely convenient when you are on the go. Okay, so you have your company app on the app store, that is, it is ‘globally available’ to be downloaded by anyone located anywhere in the world. Good, that takes care of the first step. The next pertinent question you must ask yourself is “Is your app ‘globally ready’ for the global audiences you are looking to target?” One needs to understand that there is a world of a difference between being ‘globally available’ and being ‘globally ready’. The latter can be achieved only by means of localizing your app keeping in mind the key audience segments. David Janner, app developer and the founder and editor of Make App magazine, performed an app localization experiment. He found that before an app was localized, approximately 76% of the total app traffic comprised of countries that spoke English as a primary language with 3000 downloads per month. After the app was translated and localized, the downloads jumped to 23000 per month, a whopping 767% more than before, and now only 10% of the app traffic were English-speaking users. This showed that once the app was localized, it was ‘globally ready’ and performed way better than when it was just ‘globally available’. 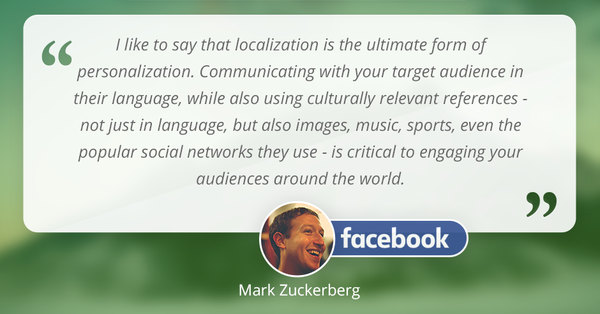 Why localize mobile apps? Let the numbers do the talking. In the smartphone world, over 90% of all mobile device activity occurs within apps and the remaining in browsers. According to Statistica, in 2015, global mobile app revenues amounted to 69.7 billion USD and is projected to generate 188.9 billion USD in revenues by 2020. According to a recent study by Distomo, companies who localized their apps for iOS saw 128% more downloads than the others. As per App Annie, 50%of the countries in the Top 10 for downloads and revenue in the iOS App Store and 80% of the countries in the Top 5 for downloads and revenue in Google Play are non-English speaking countries from Europe and East Asia. In India as well, only 125 million Indians prefer English as their language of communication, while the Telecom Regulatory Authority of India has estimated that there are more than 860 million mobile phone subscriptions. Research proves that having an effectively-localized app can do its bit in increasing your rankings in app stores, leading to an expected increase in the total number of downloads and thereby greater revenue generation. Simply put, localizing your apps leads to additional downloads, followed by additional customers and corresponding additional purchases, which is exactly what businesses look out for in global markets. Get a head start : Keep localization in mind from the initial app development stage itself. As different languages act differently and show up in a contrasting manner on the mobile screen, you need to work on designing an application whose interface is flexible enough to accommodate languages other than English (using default resources) right from the beginning. This will make the translation and localization process simpler at a later stage. Think ahead of just language translation : Content encompasses the app in its entirety—images, colors, fonts and the like. Localizing an app is not just about translating the text into the regional language of the audiences. To integrate an app into a particular culture, local imagery, and depicting regional traditions and habits go a long way. Testing is a must : This should be done on a wide range of devices with different screen sizes specific to those that are in popular use in a particular region. Localization specialists advise a “pseudo-localization test” prior to beginning any localization process just to make sure the app is internationalized (that is, ready to allow localization for target audiences varying in culture, language, and region). While all this might seem too much to handle while developing and maintaining a helpful, user-friendly app, there is a one-stop solution. Language service providers specialize in providing solutions from consulting for beginning with the right global strategy, to end-to-end localization and testing of the app. What can be a better way than localization through which you get to effectively communicate with customers worldwide and project a strong international image.